Sunscreens are one of the most important things that we have to use during the summers. In summers, when the heat and sun rays are high then, we must take care that skin should not get burnt. The sun rays can be highly damaging as the premature aging on the skin can be seen. 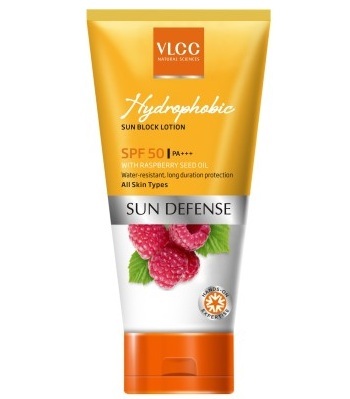 VLCC has several sunscreen lotions that can be tried. So, which is the best one out of that? 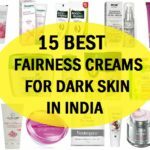 Here in this post, we have compiled this list of the best sunscreen from VLCC that can be tried by different skin types like dry skin, oily skin, sensitive skin etc. 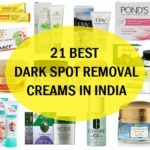 So, here are the best VLCC sun lotions and sun creams available in Indian market, that can be applied by people of various skin types. 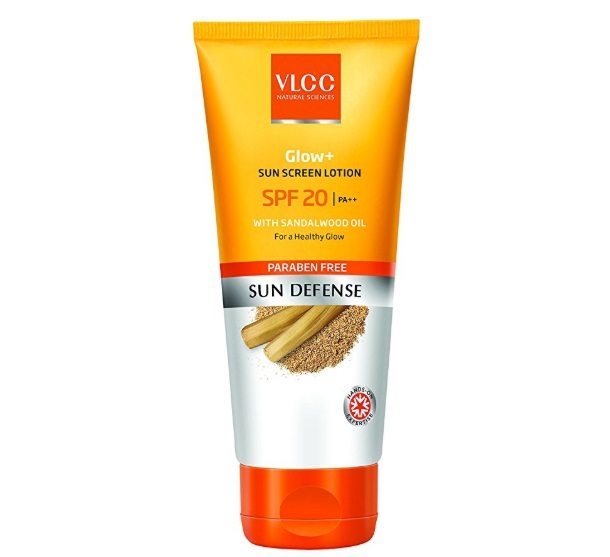 This is a daily use VLCC sunscreen which protects the skin from harmful UV rays. This VLCC cream also softens and brightens the skin of your face. It slowly reduces pigmentation. The quantity can last long for a month or two. 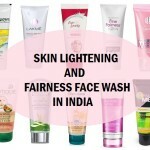 If you have fair tone skin and then this one is enough for you to give a shield on your facial skin. This sunscreen by VLCC is made considering Indian skin and our country’s climate. Due to hot weather, our skin tends to look more dull and lifeless. Exposure to sun extremely harms the skin and makes it to age more early. It is a paraben free sunscreen. 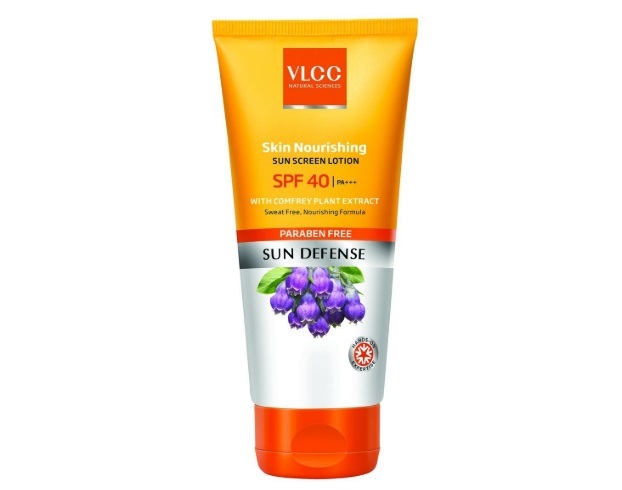 This VLCC sunscreen has sandalwood extracts that make the skin brighter and shinier. It enhances the overall beauty of the skin and is suitable for all skin types. It has SPF 20++ that protects the skin from darkness and melanin. This product is water resistant and gives a complete protection against sun. It has raspberry seed oil that improves the skin texture. This product has long lasting and ideal for dark skin tone people or those who have exposure to the sun. Hydrophhobic acid makes this lotion a better choice who need complete coverage. This is a VLCC product which will give a sweat free feeling and nourishes the skin deeply. It covers the facial skin from SPF 40 sun block PA+++ that is very effective on pigmented and tanned skin. 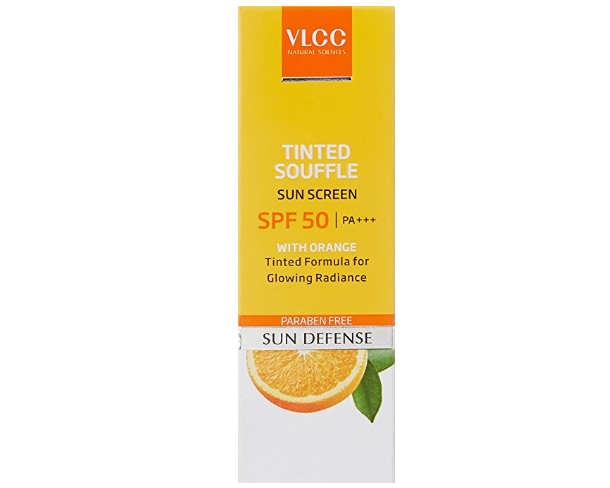 It is the best VLCC sunscreens in India for a sweat free look. 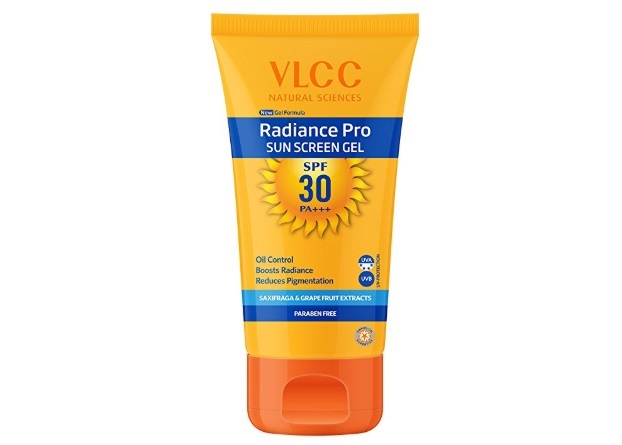 VLCC sunscreen crème is gel based product. 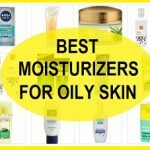 It is ideal for oily and combination skin. 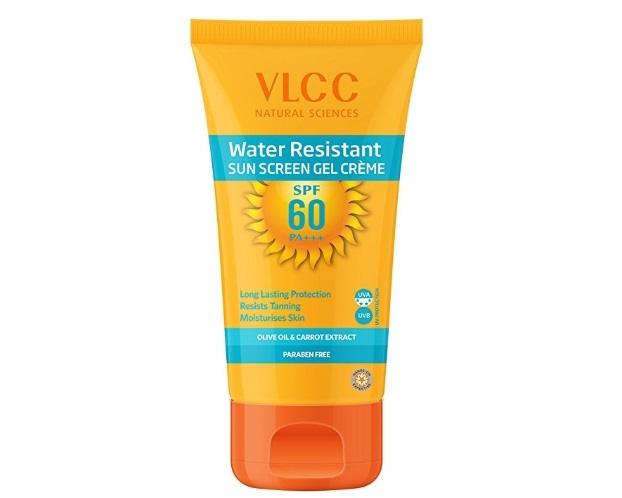 This is the best VLCC sunscreen which is water resistant and absorbs easily in the facial skin. The SPF 60+++ gives intense coverage on the skin from harmful UV rays. It also prevents skin redness and itchiness. After a regular use, you may find a slight change in the skin tone. 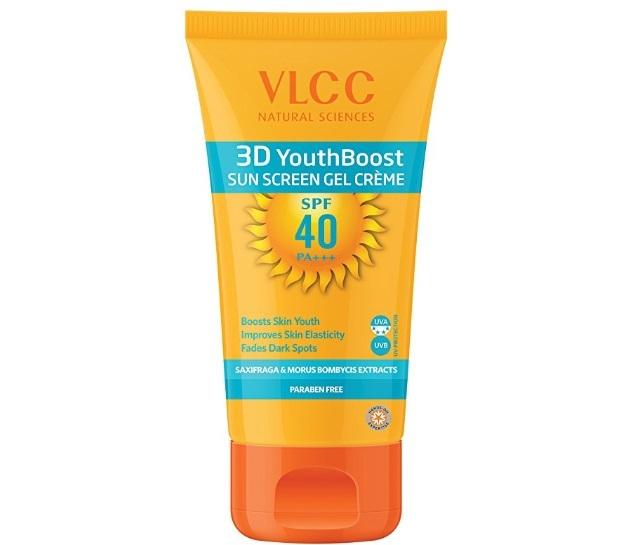 VLCC 3D sunscreen gel crème has SPF 40 PA+++ that covers completely the skin. It is youth boost product that is suitable for young age people. The VLCC sunscreen restores the skin’s elasticity and youthfulness. The quantity is really enough that will last a long. So don’t miss to use this product in this summer. 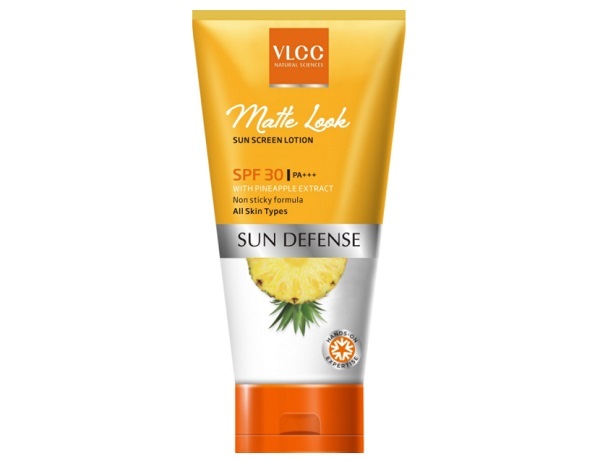 It is a matte finish VLCC sunscreen lotion SPF 30 ++ that is non oily and easily covers the skin. It also contains pineapple extracts that make the skin really smooth and soft. This VLCC sun lotion has a good blend of nature and technology. This is a gel based VLCC sunscreen that improves the skin color and evens the entire face. 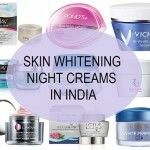 It also helps in removing pigmentation and excessive skin discoloration. This is a paraben free product which has SPF 30+++ that contains grapefruit extracts. 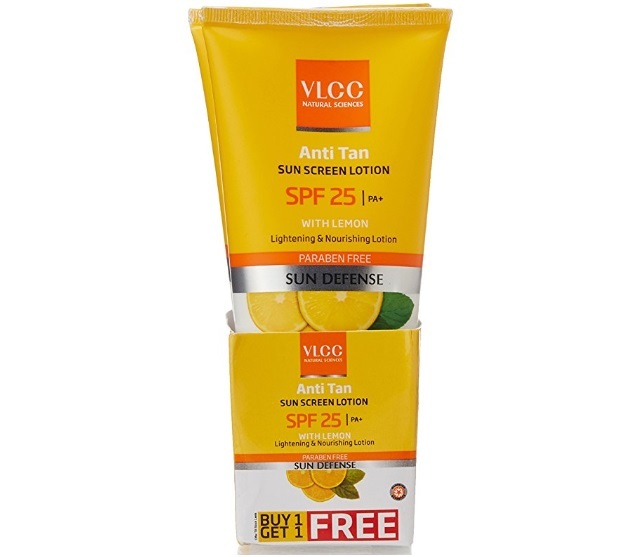 Anti-tan VLCC sunscreen lotion is ideal for all skin types. It is a lightning and nourishing lotion that deeply penetrates the skin and makes it supple and soft. Lemon contains vitamin-C that improves skin complexion and makes skin very healthy. The SPF 25+ in the sunscreen protects the skin’s from sun damage and heat of this summer. Recommended For: For all skin types to get rid of the tanning due to sun. 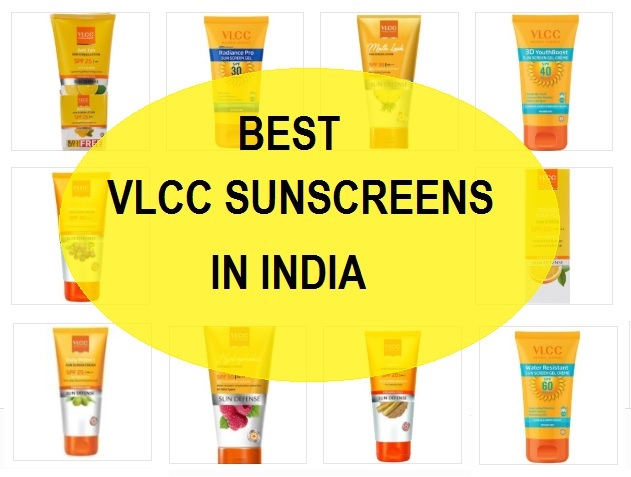 These are the best VLCC sunscreens in India that can be used by men and women. The application of sunscreen should be at least 20-25 minutes before you step out in the sun rays. It can help protect the skin from UV rays and sun damage.